The Eighth Summit of the Americas, convened in Lima, Peru on April 13 and 14, 2018, approved a consensus document addressing one of the most important issues facing the region: the fight against corruption. Signaling a departure from previous Summits, where the declarations covered several topics, the Lima Commitment (Democratic Governance against Corruption) focused on just one topic – anti-corruption – and was approved by consensus by the Heads of State and Government. The Lima Commitment, consisting of 57 paragraphs, calls on member states to reduce bureaucracy; strengthen the independence of judiciaries; increase transparency through the use of new technologies; encourage private sector participation in the formulation of public anti-corruption policies; and protect informants, journalists and law enforcement officials. It also pledged to work towards preventing regional financial systems from being used to transfer and conceal illicit funds; and identifying resources to strengthen hemispheric anticorruption mechanisms. The Summits of the Americas, held every three years, assemble not only Heads of State and Government from the region, but also include parallel forums such as the CEO Summit, the Forum of Civil Society and Social Actors, the Young Americas Forum and the Indigenous Peoples Forum. For the first time, a spokesperson from each of these forums was invited to make a presentation to the Heads of State and Government at the plenary session of the Summit. "Corruption has held back the development of our peoples for decades. 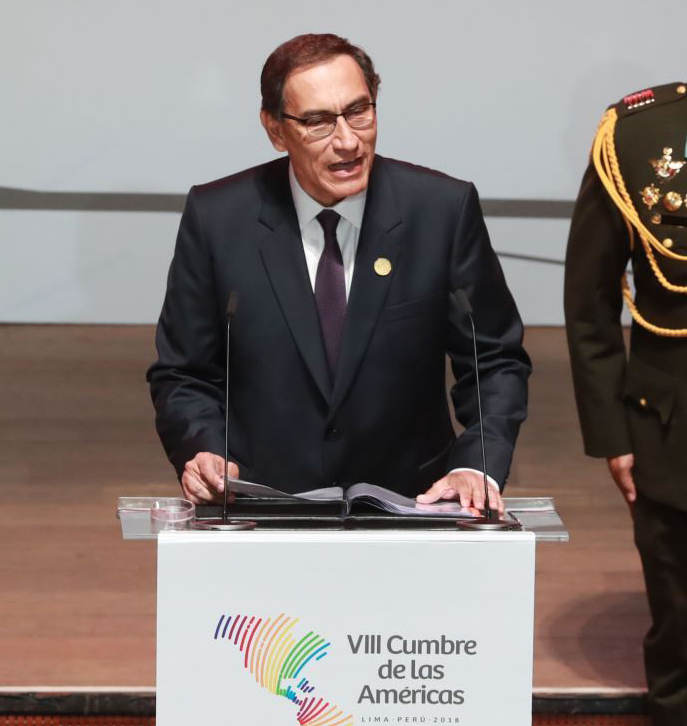 While this is going on, our governments are unable to solve problems like delinquency and informality" President of Peru, Martin Vizcarra said at the Summit. "We must not live alongside corruption as if it were inevitable. We will adopt concrete measures to increase transparency and access to information, strengthen civil society's participation in tracking government management and consolidate freedom of expression and informant protection."